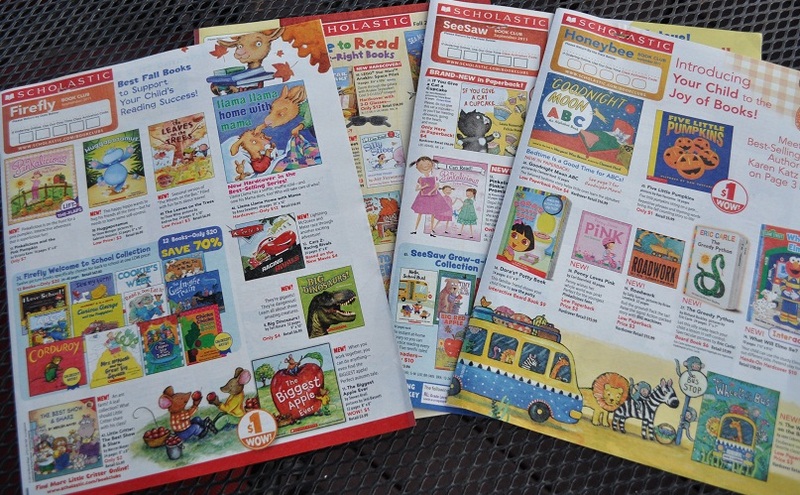 I have seen how the monthly Scholastic Publishing Company book flyer can set student readers’ hearts aflutter. Scholastic’s marketing through classroom book clubs gives them direct access to all levels of student readers, and when a school hosts a Scholastic book fair, students can browse books or products with book title tie-ins. Moreover, Scholastic offers resources to teachers including lesson plans, discussion guides, and leveled reading programs. So when Scholastic releases a report titled Kids and Family Reading Report, they speak with authority. The key findings of this research, were based on a nationally representative sample of 2,558 parents and children including 1,026 parents of children ages 6–17. In this survey, there were questions about parental reading habits, ages for reading aloud, and the use of e-readers. Given my interest in providing time in school for reading, I was particularly interested in what the survey had to say about dedicated time and developing readers. The 52% is a combined percentage of boys and girls, with 61% of girls agreeing in contrast to the lower percentage of 41% of boys agreeing (see data below). However, it is distressing to see a drop of 9% in reading for fun since 2010. #3 School plays a bigger role in reading books for fun among children in lower-income homes. 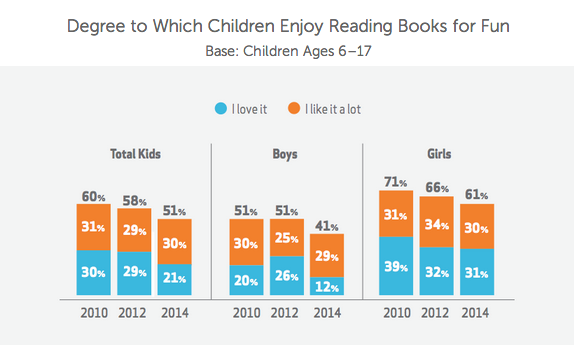 61% percent of children ages 6–17 from the lowest-income homes say they read for fun mostly in school or equally at school and at home, while 32% of kids ages 6–17 from the highest-income homes say the same. There was no one reason for the difference why twice as many low-income students read for fun during dedicated time in school, however, time and access to books are the most obvious possibilities. How students have access to independent books was factored into this survey with libraries as being the most important resource. Although Scholastic was not directly named, school book fairs, book clubs, and bookstores were judged to be among the leading sources for children ages 6–17 to find books to read for fun. So while this Scholastic survey could be considered self-serving, (after all, they are interested in selling more books) the data does support the importance of time for independent choice reading in schools. The survey highlights the power of enlisting parents in putting independent reading programs in place in school. Ultimately, the results of Scholastic’s survey supports those classroom teachers who recognize the value of independent choice and inviolable time to read.